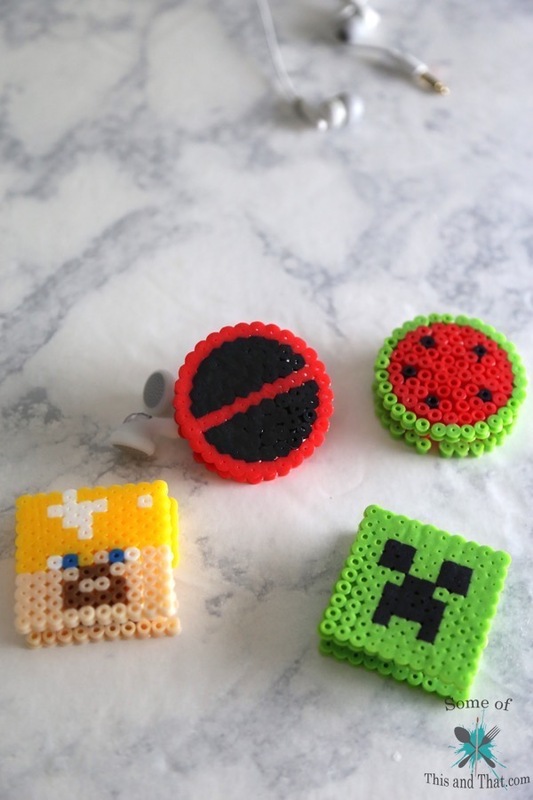 DIY Earbud Holder |DIY Minecraft and DIY Deadpool! Summer is hear, which means my headphones travel with me to the beach, the pool and, in general, everywhere! I keep a pair in the garage for when I am doing yard work, so they get a lot of abuse. To help reduce my stress of trying to untangle them EVERY time I need them, I decided it was time to make some DIY earbud holders. Since I was at it, I made a pair for everyone in the house. My hubby have already fought over the DIY Deadpool one, we are both huge fans of Deadpool. 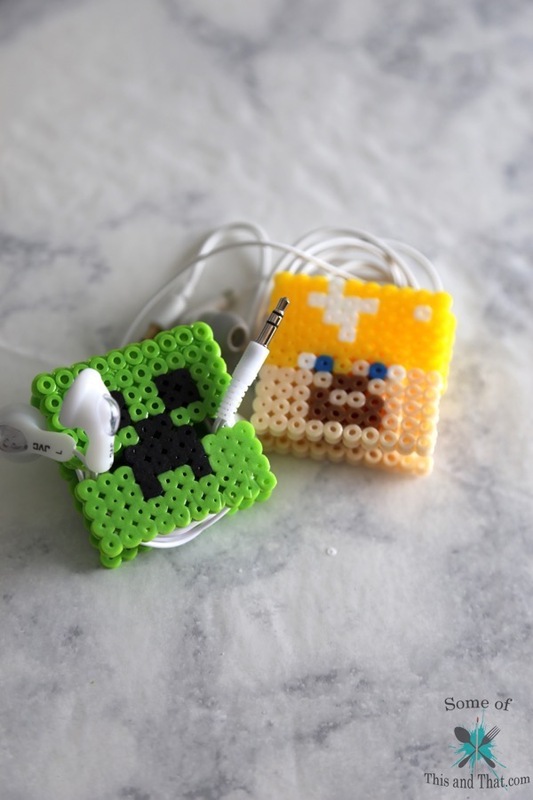 The kiddos made some DIY Mincraft ones, of course a DIY Creeps and a DIY Golden Steve. And just for fun I made a DIY Watermelon one, it is summer after all! 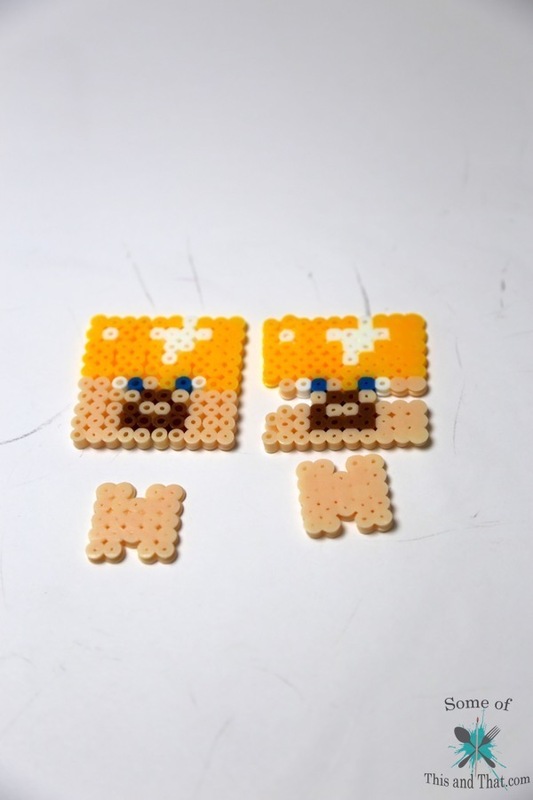 To make them I used Perler beads, which can be found in pretty much any craft section. I purchased a kit that came with the beads, peg board and the special ironing paper. For under $10 I made 4 earbud holders, and have about a million beads left over for future crafts. Other items you will need is a hot glue gun and iron. 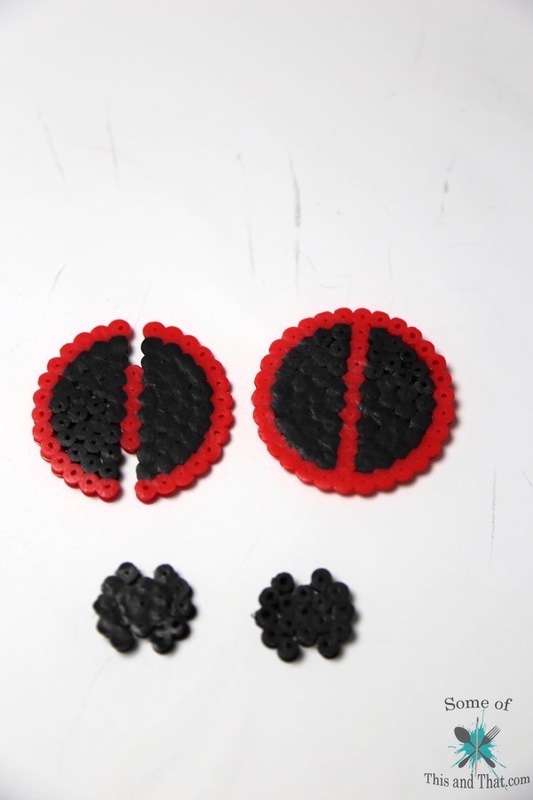 To make the DIY Deadpool I used the round peg board with the black and red beads. 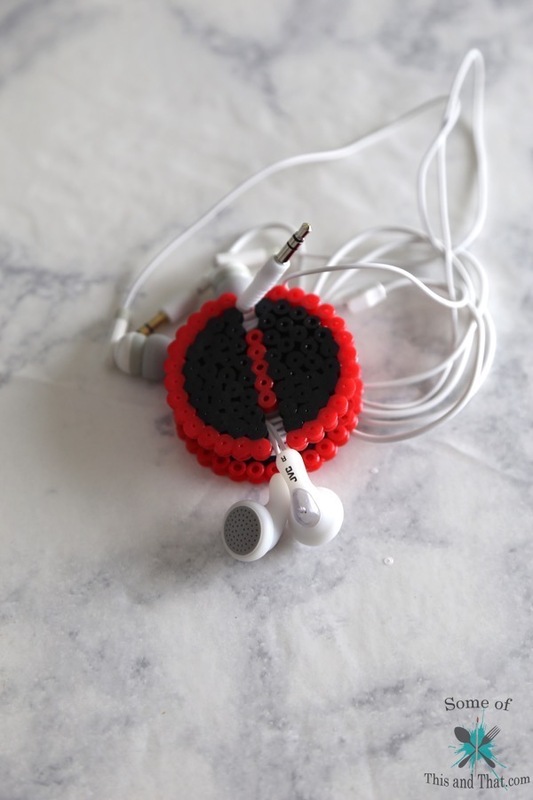 You will have a total 4 pieces that you will then glue together to create the ear bud holder. For the larger pieces, I started in the center of a round peg board and made a row of red beads that was 11 beads wide. I then created the circle in red and filled it all in with black beads. For one of the main pieces, you will remove 3 beads from each side, this is where your earbuds will hook in to keep them secure. The smaller internal pieces are just a circle that is 5 beads wide, with this one I removed 1 bead from both sides on both pieces. After you have ironed them so that they are melted together, hot glue each piece together, making sure the notches are lined up! Golden Steve was a little bit more detailed, but you will use a square peg board and will have a total of 10 rows. Poor Steve got a little deformed, but the kiddos still loved him anyway. For the center create a 5×5 square and remove 1 peg from each side for both. Iron and glue together! Want to learn some tips and trick on how to make this process easier? Check out how I made the Creeper in the video below! What character are you going to try making? Be sure to share the pictures on our Facebook page, or tag us on Twitter or Instagram! Previous Post: « DIY Soda Cake! | Summer Gift Idea!